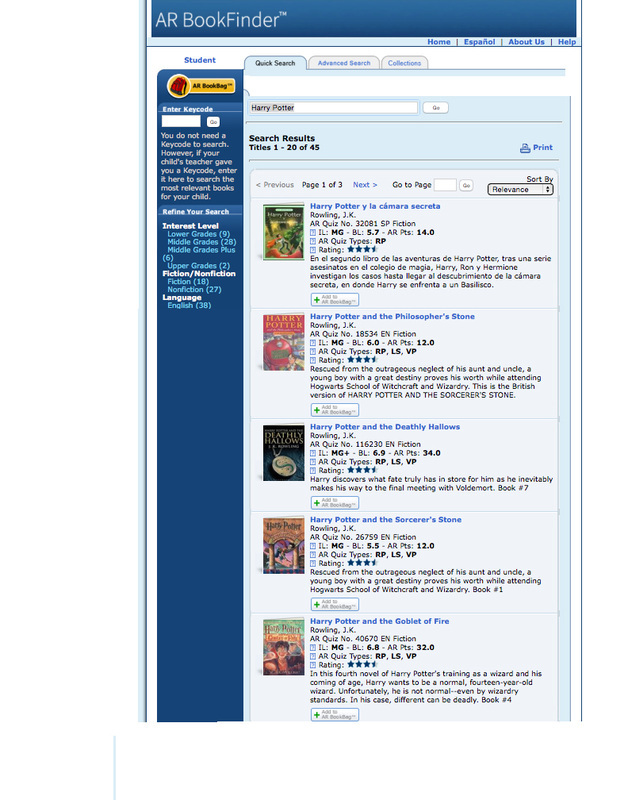 Accelerated Reader is a national computerized reading management program used by schools throughout the U.S. It is a unique system for motivating children to read and for tracking achievement. 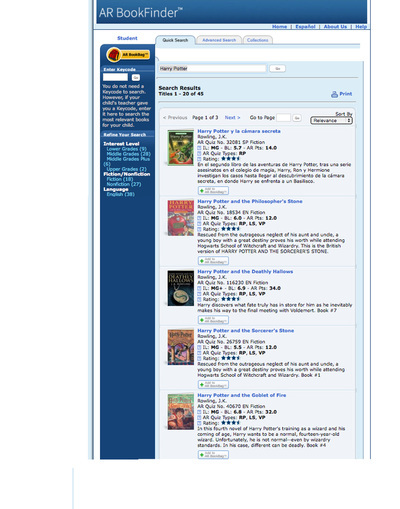 Students select and read books of their choice and take computerized tests when they finish reading. Accelerated Reader gives students instant information and reinforcement for their efforts. By basing reading points on three standards (quantity, quality, and reading level), Accelerated Reader challenges students to achieve and supports a literature-based reading program. Many studies confirm the program’s positive impact on reading scores. 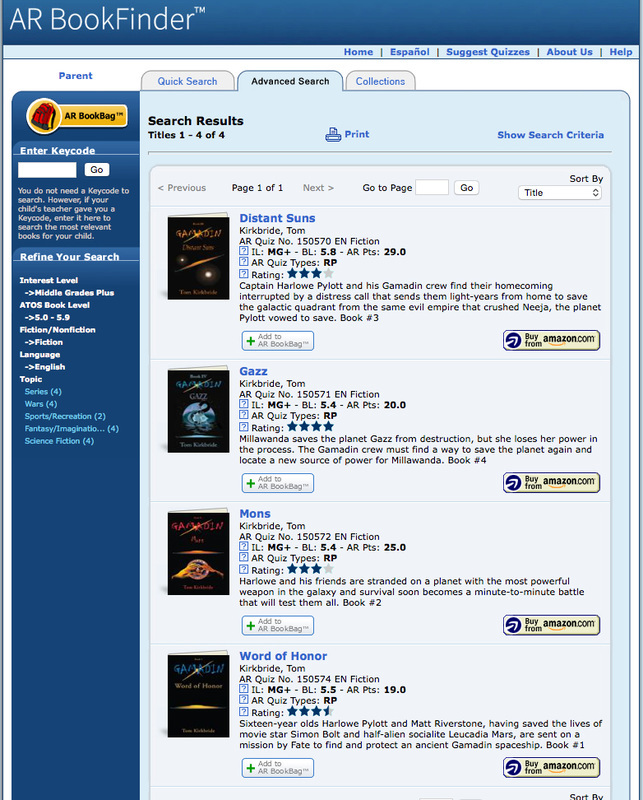 Q: Is the Gamadin Books Series part of the Accelerated Reader Program? A: YES! 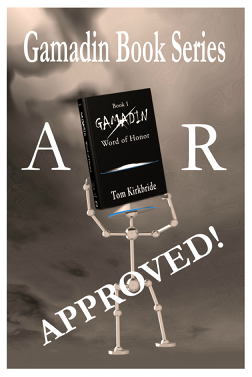 The Gamadin Book Series has been part of the AR program since 2011. Tom's recent release of Book 5, Gamadin: Core is now being evaluated and quizzes should be available by the beginning of the school year. Q: Tom is a self-published author. Isn't it rare for a self-published author to become part of the AR program? A: Yes it is. Very difficult. Teachers and librarians discovered how many students were reading the Series and they requested Renaissance Learning to add them to the list of quizzes...and they did! Tom is honored that his books are a part of such a wonderful learning program alongside other notable books series like Harry Potter and Percy Jackson. 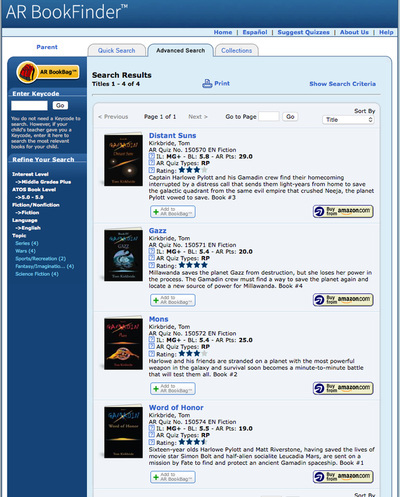 What are the quiz scores and reading leading levels for the Gamadin Books? 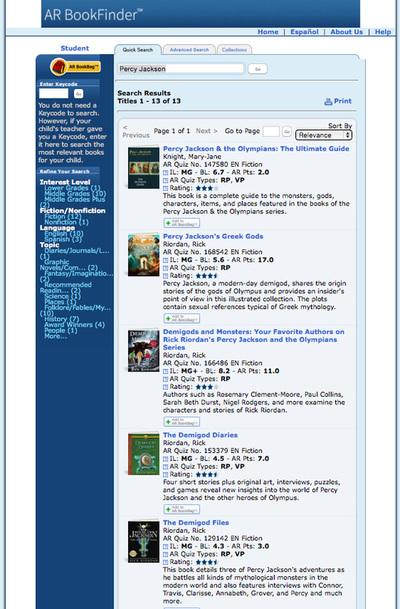 Q: How do the student reviews compare with other series like Harry Potter and Percy Jackson?